At Hatchbytes we work with logos and graphic design projects at all stages. From creating something from scratch to evolving an existing idea, there’s not a one-size-fits-all approach. Recently, we worked with our friends over at The Oregon Wine Lab to fine-tune their wine label that desperately needed revamping. 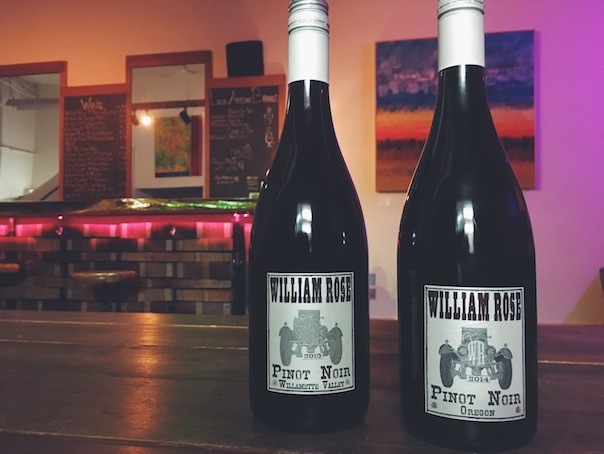 Here’s the case study behind the graphic design we did of William Rose Wines. 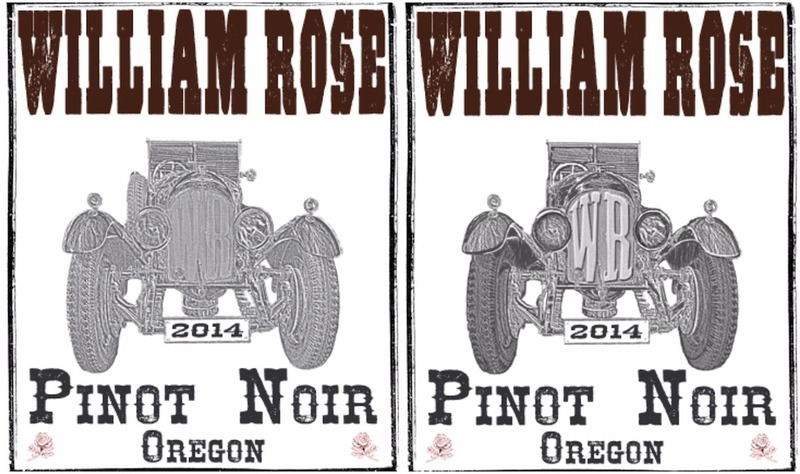 William Rose is a fictional “western” character: a renegade traveling around Oregon, bootlegging grapes to make the finest wine. Old-west, rugged, rough-edged are the words that would best describe this scalliwag. William Rose drives around in an old-school Bentley, which is the inspiration for the wine label. The Bentley that is used on the label is based off of a photo that the winemaker, Mark Nicholl, took. The concept is there: to make the Bentley look like a drawing, etching, old-school print, and having the monogram “WR” on the front grill. However, the execution resulted in a muddy, blurred image, and the monogram got lost. It was time to clean up the label with some custom graphic design. The goal of this project was to evolve the existing label in order for it to be more legible, recognizable, and visually pleasing, all while maintaining the brand identity. We wanted to fine-tune the existing label, without having to start from scratch. It was very important to the client, Mark, that we keep the original image and idea, and we were happy to do so! Rachel, our Senior Graphic Designer, took the image used on the wine label and sharpened it by applying etching inspired techniques via Photoshop. Manually, she shaded, created line details, and removed some of the “clutter” that was making the image look blurred and illegible. During the graphic design process, the image was brought to life, being careful to maintain aspects of the original version. When comparing the before and after, the finished product almost seems to add an additional dimension to the label by providing much needed depth. Most importantly, the new label draws attention to the “WR” that was almost impossible to see in the original version. The process really transformed the image from something unrecognizable to an eye-catching image that echoed the company’s brand. This process is a great example of how you can revamp a logo or label without starting from scratch. A lot of well-known brands do this “logo evolution” to maintain their brand identity but improve the quality of their logo. In many cases, brands create a new logo when in fact they could salvage their old design and improve upon it with custom graphic design. This is something we specialize in. If you think your logo could benefit from a similar process, contact Hatchbytes today!